I actually find putting rivets on locos quite therapeutic. There's something about adding the little details that bring the models to life - rivets, brackets, tools, all the little parts that turn it from a basic outline into something looking like a real working locomotive. Lots of Train Simulator addons and routes are on sale and I'm pleased to say that our GWR 56xx addon and the GWR Steam Railmotor are both now in the Steam Summer Sale, at 50% off. Enjoy! There were a lot of guesses from the last picture of the pink locomotives, and I'm pleased to reveal that many of you were absolutely right in guessing that the next addon will be a GWR 48xx (later renumbered to 14xx by British Railways) with autocoach. The putting together of the pink locos was to write the interactive scripting to allow the whole set up to be driven from any attached coaches - which proved to be quite a challenge. 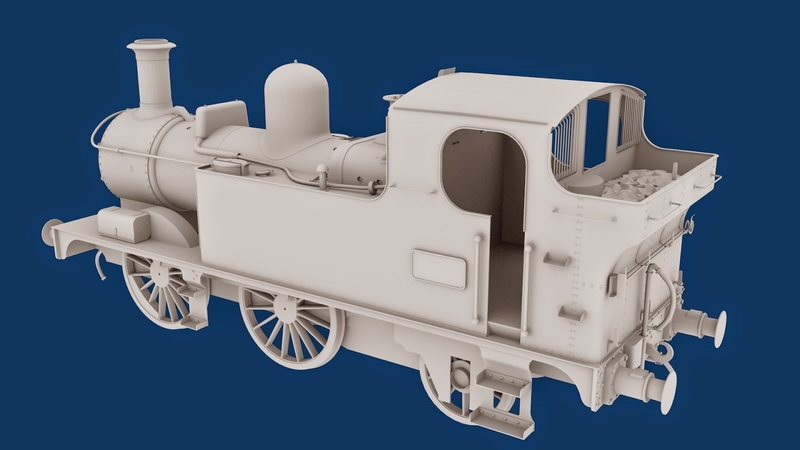 However I'm pleased to say that not only has that been achieved but that the advanced functions of the locomotive such as the simulated steam chest will still be possible when driving from the coach and correct functionality of the locomotive whistle or the autocoach bell. 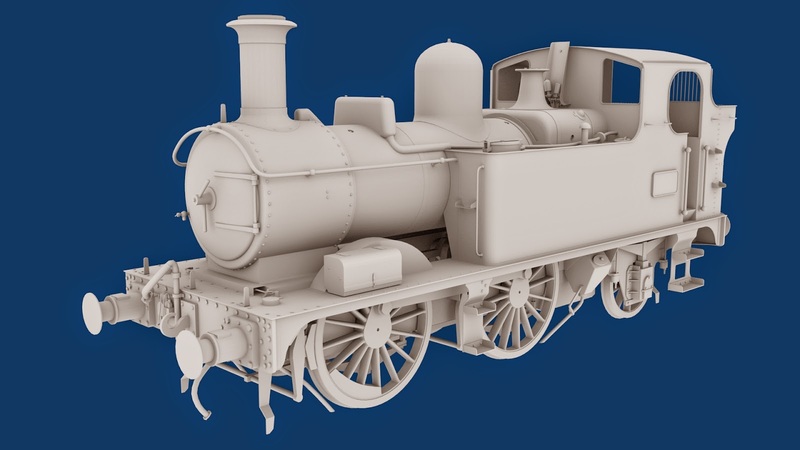 The current plan is for the coach to work with any locomotive that it is coupled to, but when coupled to a compatible locomotive (the 14xx and all future GWR tank engines which I produce that were auto-fitted) it will use the extra realistic functions of the specific locomotive. The pack is also planned to include the non-auto fitted 58xx variant. 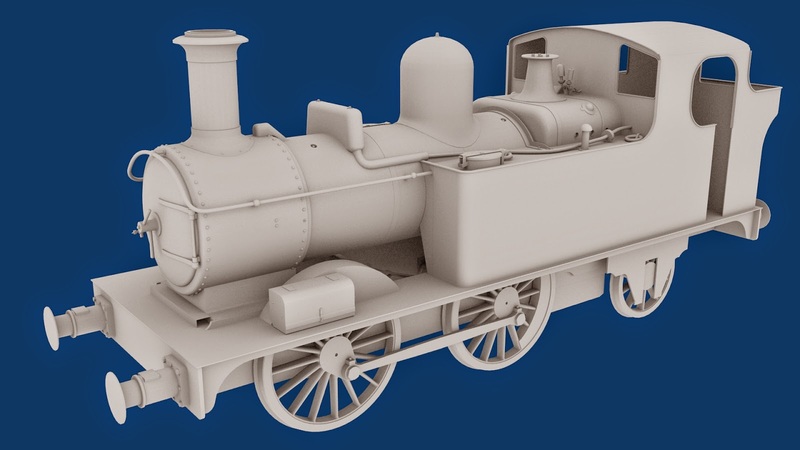 To finish off this update it wouldn't be right to leave without showing an early render of the locomotive model in progress. 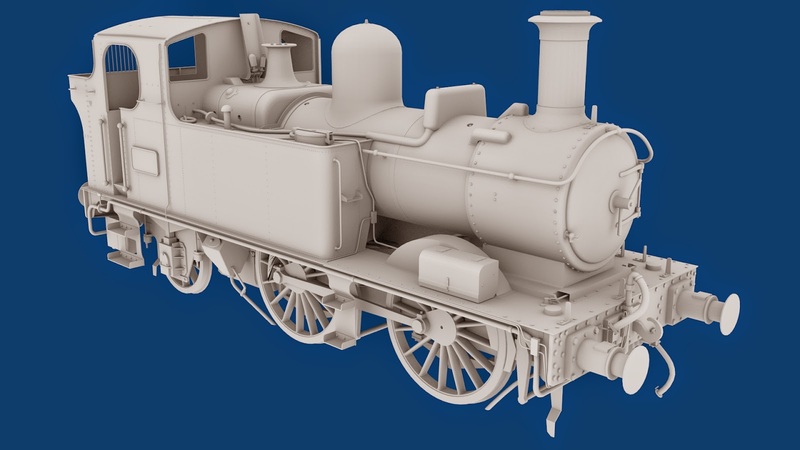 Bulleid Q1 Release date and article, and those pink locomotives! I'm pleased to say that the Q1 is now signed off and it will be early July when it's released on Steam. And now to the next project.. I've heard a few interesting ideas about the "pink" locos I hinted at the other week - most of them about undercoat and primer. All good ideas, however these ones are a really, really bright pink. I basically used the obscure (and some might saw obscene!) colour so I could tell the test locos and stock from the real ones - just to make sure there is not any confusion whilst I test. So here is an image of what I had.. a pink 56xx, coupled between 2 pairs of pink steam railmotors! Now remember that these are just place holder objects whilst I test various scripting and interactions - once that testing is complete and more importantly, successful, then I start to build the actual stock. I don't think it's going to take a huge amount of imagination to guess what I've been working on.